Over the past decade, teams from California, Florida or Texas have competed in more than half the championship series in the four major professional sports -- including every NBA final. 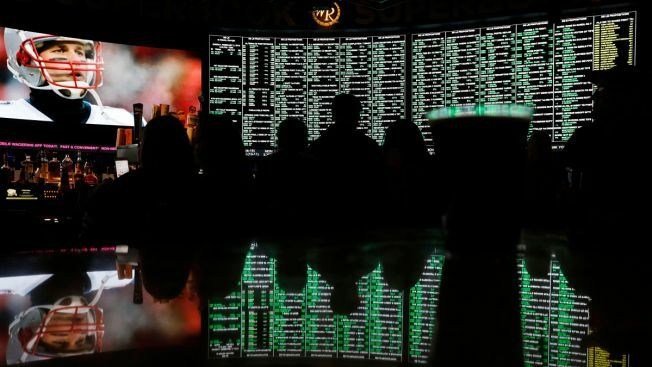 In all three states, any attempt to allow sports gambling would likely require a statewide vote to amend the constitution -- a high hurdle for any issue, much less an expansion of gambling. "The dynamic at work here is the larger the state, the larger the market, the larger the opportunity -- the more complex the stakeholder environment and the more political stasis sets in," said Chris Grove, managing director of gambling research firm Eilers and Krejcik. Dickstein said the tribe would welcome sports betting if it were clear that tribal casinos would control the market in California. But if betting is allowed at card rooms, racetracks or lottery retailers, it would not be so appealing for the casinos. Even if the tribes would receive a big piece of the action, it might mean renegotiating their agreements with the state that determine what is allowed at their casinos -- and that could give the state an opportunity to insist on concessions.